Ideas on the possibility of ratifying and applying the International Labour Organisation (ILO)’s Right to Organise and Collective Bargaining Convention (Convention No. 98) in Vietnam were collected a seminar in Ho Chi Minh City on December 5. 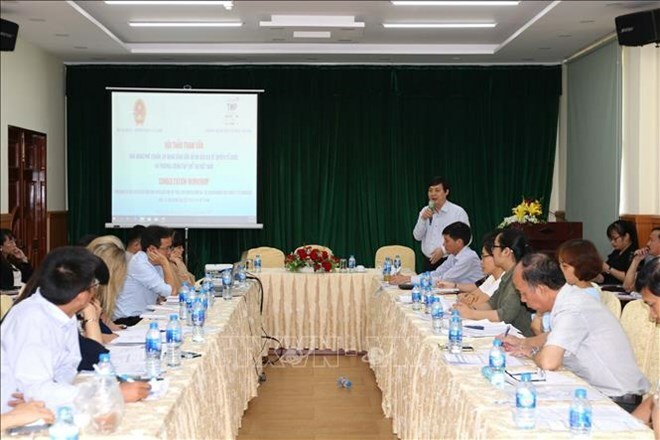 According to the Ministry of Labour, Invalids, and Social Affairs (MoLISA), Vietnam has so far participated in 21 ILO conventions, including five out of the eight most fundamental ones. The three remaining are the Abolition of Forced Labour Convention (No. 105), the Freedom of Association and Protection of the Right to Organise Convention (No. 87), and Convention No. 98. Ha Dinh Bon, Director of the MoLISA’s Department of Legislation, said that Convention No. 98 is of significance in ensuring the rights of labourers and the development of civilization, democracy, openness, and transparency. It aims to protect employees and trade unions from being discriminated against, interfered with, and manipulated by employers, he said. Vietnam’s participation in the right to collective bargaining is to implement a compromise agreement mechanism, one of the most important issues in the labour relationship of a market economy, so that a trade union can conduct more effective collective bargaining so as to better protect the legitimate rights and interests of employers, Bon stated. Deputy Director of the Department of Legislation Nguyen Van Binh said that joining the convention on the basis of amendments and supplements to the Labour Code confirms Vietnam’s strong commitments as a member of the ILO, while contributing to completing the country’s pledges towards participating in the Comprehensive and Progressive Agreement for Trans-Pacific Partnership (CPTPP) and the EU-Vietnam Free Trade Agreement (EVFTA). Sarah Galeski, Co-Chair of the European Chamber of Commerce in Vietnam (EuroCham)’s Human Resources and Training Sector Committee, voiced her support for Vietnam’s decision to ratify the convention, which, she said, will help consolidate labourers’ rights in the country and speed up the ratification of the EVFTA in the European Parliament (EP), thus contributing to fostering economic growth and improving social welfare for Vietnamese labourers. The country’s ratification will show its strong commitment to protecting employees’ rights and follow obligations related to labour within the EVFTA framework, she stated. Member enterprises of the Eurocham are willing to support works related to the ratification and enforcement of the convention in relevant countries, she added. Delegates at the seminar stressed the need for Vietnam to take action to demonstrate its vigorous efforts in the convention’s participation and strive to ratify it in early 2019 so that the EP can consider the country’s next move in March 2019.